My grandmother was a weaver and though I didn’t spend much time around her, I wanted to learn to weave and carry on the family tradition from a young age. I was quite nomadic after college and my first adult forays into the fiber world were in knitting and crochet because their portable nature satisfied my need to create with yarn. I spent years playing and learning other creative techniques (felting, beading, embroidery and more) and at some point decided that I didn’t want to be “jack of all trades, master of none” so I focused on knitting as both creative outlet and career choice. The longing to weave persisted, but I was afraid of spreading myself too thin so I decided I would take up weaving when I had at least 3 – 4 months to immerse myself in learning. It might mean that it would be later in life, but I wanted to give myself (and the craft) a chunk of time to thoroughly work through the beginner phase. Fortunately my mother stepped in to teach me again. My mom was my first mentor and inspiration in the world of making things. She was an excellent seamstress and knitter and taught me both at a young age (the knitting didn’t stick at the time, but was still in my hands when I came back to it after college). 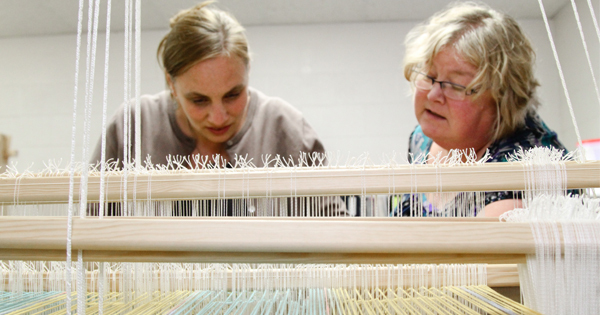 She, too, had always wanted to weave like her mother and had put it off to retirement. The time came and she took a class (at WEBS!) and my dad bought her a loom and she was on her way. The problem was, she was in the early stages of Alzheimer’s disease and her brain couldn’t remember what she learned. She wove a few small samplers but had to give it up. I weave on my mom’s loom now because I realized I couldn’t wait for the ‘perfect’ time to learn. I started working at WEBS a few years after my mom passed on and when the opportunity came to take a weaving class I jumped at it even though I didn’t have the luxury of making it the sole focus of my life. Sitting at the loom felt like coming home to me and I have become almost evangelical in urging people to follow their creative dreams. 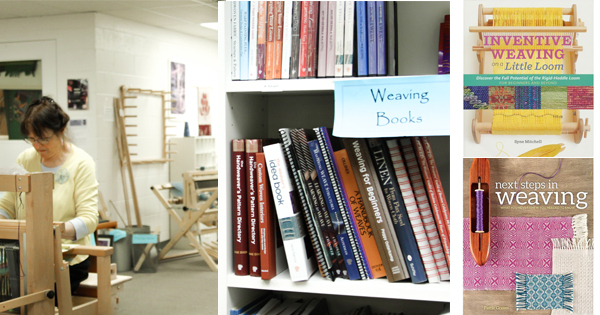 I have found many ways to continue my weaving and spinning education, starting with classes here at WEBS. We are lucky to have great teachers close by who instruct a wide range of basic and advanced classes, not to mention the many nationally-known guest teachers who present workshops in our store. Our Winter/Spring schedule is out, be sure to check out the offerings and sign up online or in the store. Many of us also have access to local guilds that feature speakers and classes. I try to take advantage of these opportunities because they allow me to learn new techniques. Even if I decide not to pursue those ideas, I learn so much from being around other weavers, watching how they work with the tools, being inspired by what they create. Bonus for me is that I also learn more about how to teach! Another wonderful place to expand your horizons is at a regional conference like NEWS, the New England Weavers’ Seminar which will happen July 13 – 16, 2017 in Northampton. These conferences generally have a slate of classes in addition to gallery shows and exhibits. Look for one in your area, there are dozens spread around the country and well worth attending. Besides, there is nothing so satisfying as hanging out with the folks that speak your language and understand your passion! I see another year of learning in 2017, I have signed up for a workshop in tablet weaving and another in shadow weave. I may add a rep weave class if I’m feeling really adventurous. What will you learn in the coming year? Woven wall hangings and art pieces have really made a comeback in the last year. 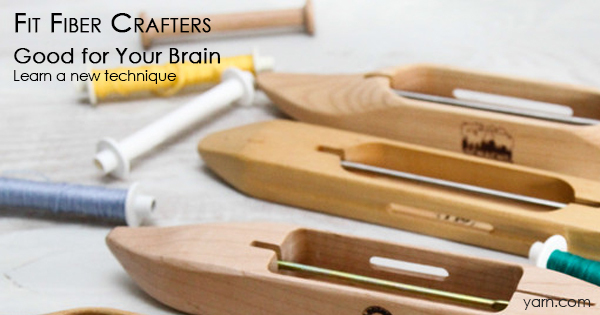 This is a craft that is portable and perfect for a quick burst of creative expression. 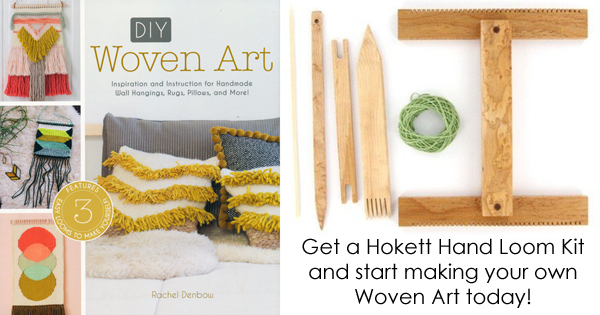 Rachel Denbow’s new book “Woven Art” breaks down the process beautifully and walks you through not only the processes of creating woven art, but the steps needed to make your own small projects looms. If you’re not ready to construct your own loom we have some excellent options for you! From the Harrisville Designs Peg Loom and Lap Loom for small projects, to the Schacht School Loom and Tapestry Loom for larger projects. The Hokett Hand Loom (or full Kit) makes a beautiful gift when paired with this book. Have you created your own woven art? Many years ago, when I discovered my passion for fiber, I yearned to study it in a focused way. I found there actually are colleges with such programs, but the circumstances of my life did not allow for being a full-time student. Thankfully, my mother (a resourceful reference librarian) sent me a stack of knitting books which became my textbooks for intensive home study. Now that my fiber focus has expanded to include weaving I look for similar books to recommend to eager weavers wanting to learn more. I am happy to say that there are more than a few and here are two of my new favorites. I love Next Steps in Weaving because it is beautifully laid out for a progressive study of weave structures. The text is clear and straight forward and easy to understand for all levels of weavers. In addition to thorough descriptions of how the threads interact, she offers basic weaving tips to build overall skills and knowledge. There are plenty of samples to weave, which is a great way to reinforce the conceptual learning, and a few projects for each section of weaves. Just released this spring, Inventive Weaving on a Little Loom offers similar learning opportunities for rigid heddle weavers. The subtitle is “For Beginners and Beyond” and it is certainly true as the book starts with the basics of warping and learning to weave, then progresses to more complex and beautiful techniques. A home study of this book would be a great way to learn how to get the most out of your rigid heddle and deepen your knowledge of both technique and design. What books are your favorite study guides? I have always loved a White Sale–that January staple where you can load up on all the things that you need for your house but never seem to buy during the rest of the year. This year WEBS is holding our version of a White Sale, a Weaving promotion that is too good not to take advantage of. 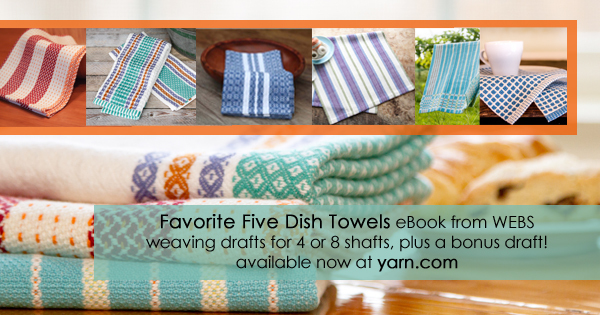 From January 22 through January 29, customers who buy 3 cones of Valley 8/2 Cotton or Valley 6/2 Cotton will receive a free download of our new weaving eBook, Favorite Five Dish Towels. The best part, for all of our readers and customers, is that the White Sale will be online as well as in-store! We’ve included some very well-loved drafts as well as a few newbies, and a bonus small dish cloth is yours as well. The drafts are written for both 4-shaft as well as 8-shaft looms, and they all work well for both 8/2 and 6/2 cotton. You’ll be able to make Carol Birtwistle’s sprightly Ribbon Towels, Chris Hammel’s beautiful and evocative Garden Towel with either a summer or winter weave structure, two of Barbara Elkin’s designs, the Modified Star Work dish towel and the Waffle Weave Buddies, as well as a new draft, the Crepe Towel. Your bonus, the Petite Dish Cloth, is a tiny work of art, and would be perfect as a housewarming gift along with some handmade soaps and a lovely soap dish. It’s not often that you get to make your own White Sale! Let us know your color choices and the delighted reactions you see if you decide to bestow one of these designs on a deserving friend for the bleak midwinter. 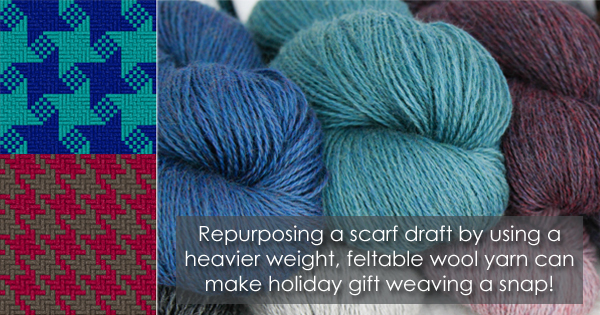 With the holidays staring me in the face, I’m thinking about quick gifts – something small that I can weave in quantity on a single warp, yet lovely enough to be personal and appreciated. Although I’m in the tribe of weavers that believes one can never have too many handwovens in the kitchen, towels are more than I can bite off at this point. But what about…potholders? !And mug rugs? Narrow warps (fast threading) and small pieces (fast weaving), easy to make in sets by changing weft or treadling. And if I’m really down to the wire, I can full or felt the woven fabric and cut into individual pieces without having to hem because it won’t ravel. For design ideas, I looked at some scarf drafts because they, too, are woven on a narrow warp and I can change to a heavier yarn to make them a good size for potholders. The two drafts that jumped out immediately are Draft #3 Pinwheel Scarf and Draft #58 Shepherd’s Check Scarf. Both are examples of Color and Weave, a technique that involves alternating stripes of light and dark colors in the warp and weft. I love the pinwheel, which is an 8-shaft pattern, because the shapes are so much fun. You can find many other treadling and tie up variations online to play with and make non-identical sets. The Shepherd’s Check uses 4 threads per stripe and the good news is that it can be woven either on a 4-shaft loom or a rigid heddle loom! With 4 shafts, you can weave a straight draw twill by threading and treadling 1-2-3-4, which will give the weave a diagonal slant. On a rigid heddle, you weave plain weave and still get the wonderful checked houndstooth look. Then we have the yarn choices. I would go with a wool for this project because it will make a thick potholder that will protect the cook’s hands from the heat. Jaggerspun Heathers is a wonderful (and too often overlooked) wool with 498 yds in 100 gram skeins. One skein each of 2 colors will give you enough for dozens of small gifties like these. I chose a couple of color combinations from their beautiful range of heathery tones to show in this drawdown. 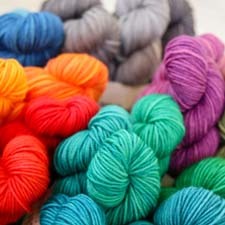 ( For the Pinwheel use Teal and Midnight and for the Shepherd’s Check use Chokecherry and Walnut) Another great option would be Valley Yarns Northampton which has a huge color spectrum ( For the Pinwheel use Lake Heather and Ocean Heather; for the Shepherd’s Check use Garnet and Fawn). Sett at 8 epi, this yarn will make thicker potholders. And both of these yarns will felt wonderfully! 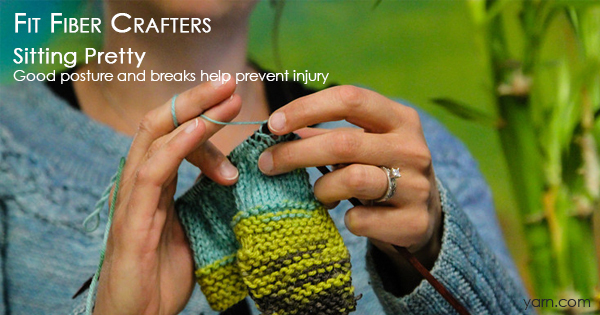 Do you have any ideas for last minute gift weaving? Handspun, now what? 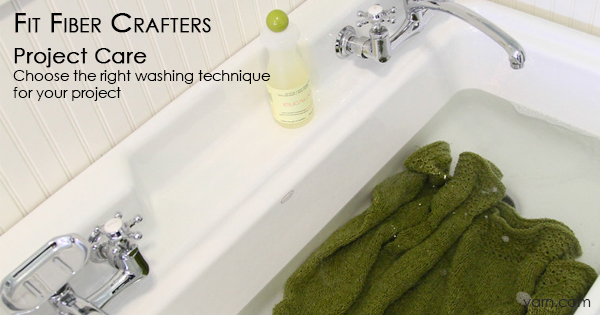 What to weave with your handspun yarn. Leslie Ann decided to weave with one of the yarns she began during the 2014 Spinzilla. She used Frabjous Fibers BFL Sparkle, one braid of Moulin Rouge. 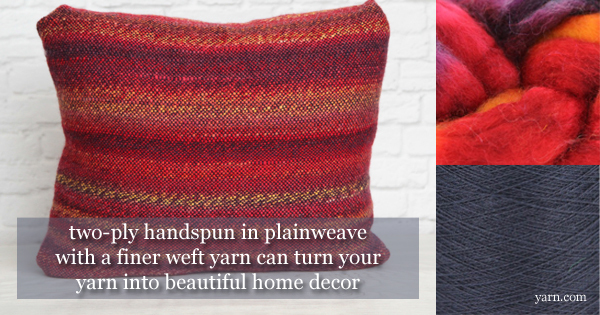 Have you done any weaving with your handspun? Have you used any of the yarns you spun for Spinzilla 2015?